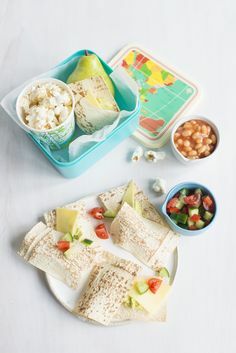 Snack times are essential to keeping our little ones well fuelled during the day. 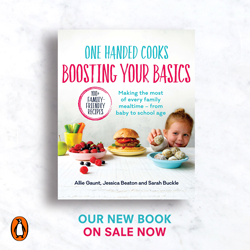 Eating up to 5-6 times per day is very normal for active and growing little kids. It keeps their tummy satisfied, their mood happy and their concentration and energy levels just right – if it’s the right type of snack of course. These no-cook dolphin bananas are a great little snack, and will bring a smile to their sweet little face. 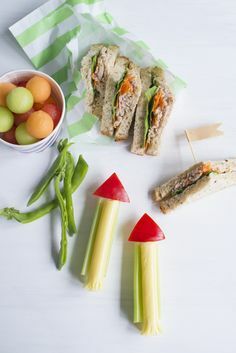 Nutrition Note: It’s play with a purpose – this fun fresh food snack is sure to entice kids who are fussy with fruit. Note: whole grapes can pose a choking risk. Always supervise children when eating grapes. Open the banana stem and place a grape in the ‘mouth’. 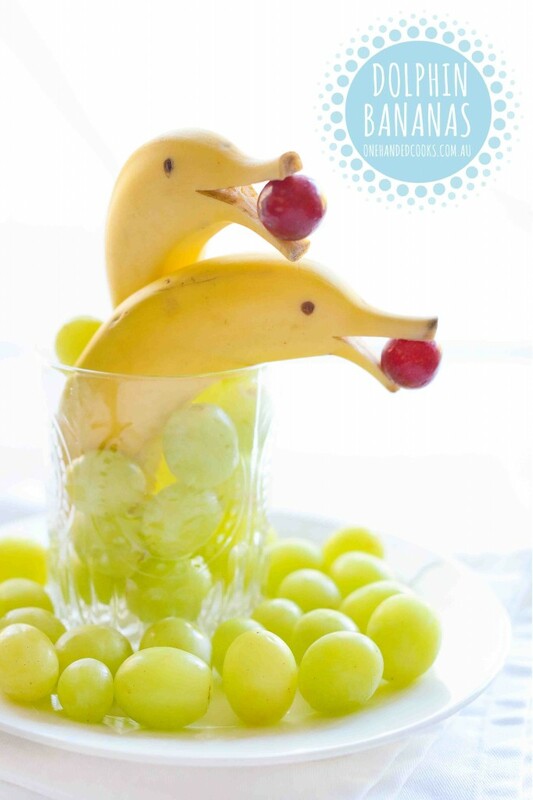 Place the banana dolphin upright in a container and surround it with the leftover banana – chopped and ½ cup of grapes.